Learners from three local schools gained first-hand experience of anatomical dissection at an educational event hosted by Brockenhurst College recently called Operating Theatre Live. Year 11 pupils from Priestlands, Hounsdown and Noadswood participated in the unique experience alongside students studying Biology courses at Brock. In the mock-setting of an operating theatre, some audience members volunteered to undertake guided dissections of the anatomical specimens, which were harvested from pigs. This included dissection of the head and cranial vault, the vertebral column, the pharynx, larynx bronchi and lungs. They also explored the heart and major blood vessels, as well as the gastrointestinal tract and lower limb to observe muscles, ligaments and tendons. 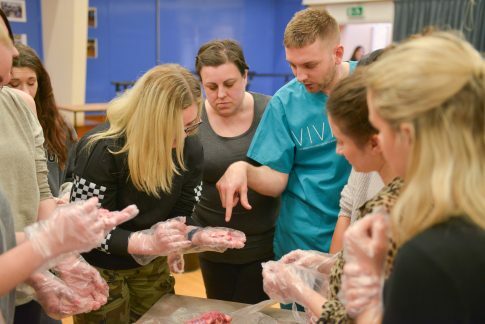 Operating Theatre Live is run by the ITEA Group and aims to support academic teaching of human anatomy and encourage learners to consider related careers. 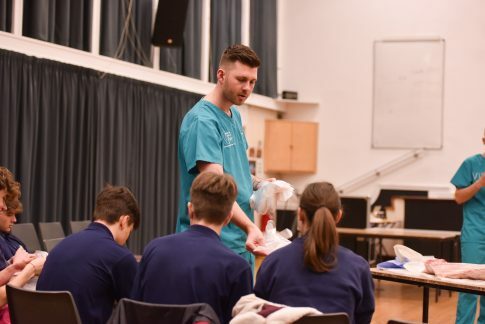 As well as hosting such events, the College runs a Medical Matters Enrichment option to provide additional support for students wishing to study medicine in university.